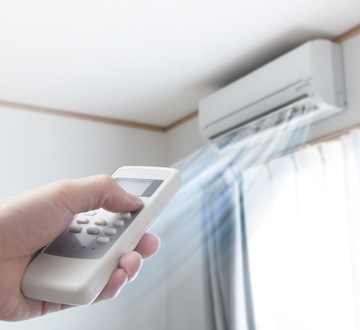 If you’re looking for a traditional central air conditioning system or an innovative ductless mini-split cooling system, you can trust the pros at Poore’s as your home air conditioning service company. Our highly trained and experienced cooling technicians have installed hundreds of highly efficient, highly effective cooling systems in Lewes, Dover, and surrounding areas. We can do the same job for you. Even if your system seems to be working fine, you may be missing out on greater efficiency and significant savings—especially if your system is at least 10 years old. Our equipment pros can guide you through the process of determining if this is the right time to upgrade your central air conditioning, beginning with a comprehensive cooling system evaluation. Our experts will come to your home, find out if there are any comfort issues, and then conduct a thorough inspection of your air conditioning system, testing the components and the ductwork with the latest tools to help determine if you’re getting the comfort and value you deserve. When we finish our evaluation, we will present our findings to you and, if indicated, help you select a new central air conditioning system that will not only enhance your comfort, but save you money as well. Your system will be custom-designed to complement your family’s size and lifestyle, and it will conform to your home’s construction and design. With our meticulous installation process, you can be confident that your new system will keep you and your family cool for years to come. Also remember that because your new system features high-efficiency cooling technology, you can expect to save money every day you use it. We understand that having a central air conditioning system installed is a big investment and we will go out of our way to make you aware of any and all manufacturer incentives and rebates currently available that could lower your final price. We may also be able to help you find financing, if qualified, to help make your system more affordable. Once you settle on the best upgrade and AC installation option for your needs and budget, we will order everything we need, and our expert technicians will arrive for the installation as scheduled. All of our cooling technicians are trained to do their job quietly and cordially, working efficiently to get the job done right the first time. Once we are finished, we’ll clean up any debris and even remove your old system and dispose of it properly. We know that the idea of replacing your central air conditioning system can seem daunting, but you can trust the Poore’s team to make the process painless. Before your know it, you will be breezing through those stifling days of July and August enjoying the cool, efficient comfort of your new home AC system. You don’t have to suffer through the summer heat just because you don’t have ductwork in your home. There’s a solution that will keep you cool all summer long: ductless mini-split heat pump systems, expertly installed by the pros at Poore’s. To learn more about this exciting option please go here. Contact Poore’s today to schedule a free, no-obligation cooling system evaluation.